With this plan, Microsoft does not want to become an internet provider like Google did with Google Fiber, but invest in technology and that in the future, will be the US operators. Those who buy the technology and the service they offer. Rural areas have always been disadvantaged when we talk about internet connection. In Europe many towns do not have a good mobile connection, they barely manage 3G connections to surf the Internet, or the ADSL lines whose copper networks of the last century are still used. There are solutions like antennas of powerful radio frequencies that connect to a specific point where a good connection arrives, even by satellite, but it is a very expensive method and with many problems. 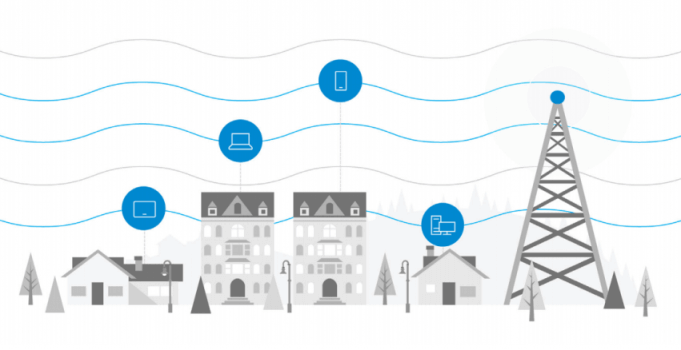 Microsoft wants to use the so-called white bands, frequencies of 600 MHz that were used in the USA. To broadcast the analogue television signal and nowadays, with the use of digital platforms, are abandoned. According to the company, this frequency has enough power to be used to give a stable Internet connection. This frequency for UHF signals has been released in the US, allowing other companies to use them for other services, such as Microsoft. In Europe the most powerful 4G mobile networks travel in the 800 MHz band, which allows the signal to enter buildings or areas where there is a large number of congestion of the device. Using the 600 MHz band would make it possible to use much more powerful internet connections and capacity for more people. The problem is that there are no plans to liberalize the 600 MHz band in Europe, which would be great for operators to put networks in remote rural areas. The future 5G will use 700 MHz frequency and the lower frequency are not expected to be released until 2030.